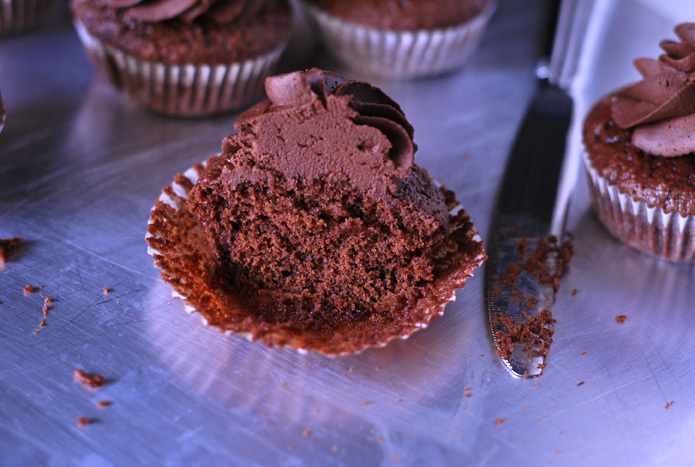 I had many requests to post a chocolate cupcake recipe– so here it is! After trying three or four recipes this year, this one instantly became my favorite chocolate treat and I didn’t look up another recipe again. 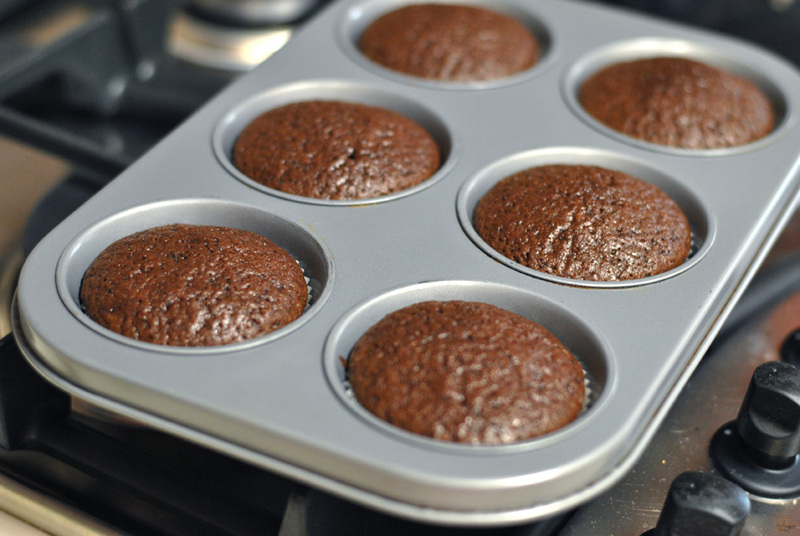 The cupcakes are moist, light, and moderately sweet with a refined taste and texture. Typical chocolate buttercream frostings are heavy with butter and sickly sweet, but this whipped ganache frosting is a winner. 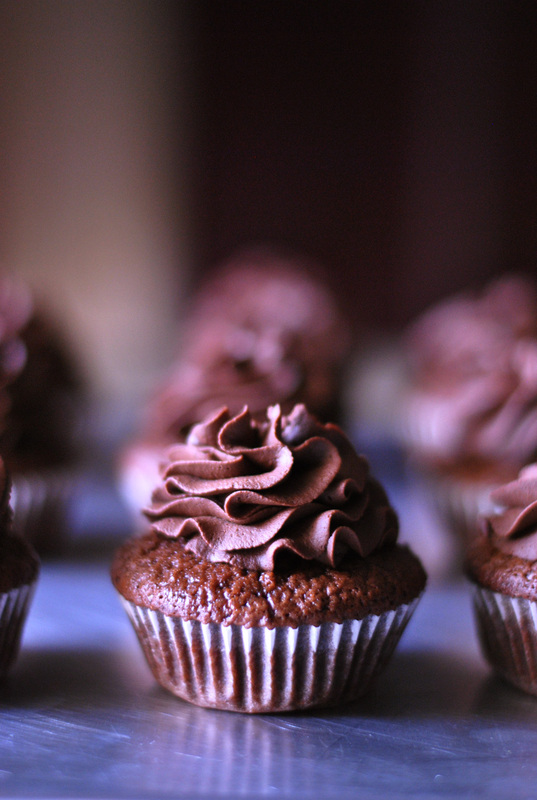 It’s actually THE reason why these cupcakes are so successful: it’s almost mousse-like and flavored with orange liqueur which enhances the intense chocolate flavor (hey–a little booze won’t hurt!). You can also substitute it with rum, brandy, vanilla extract, or omit it completely. 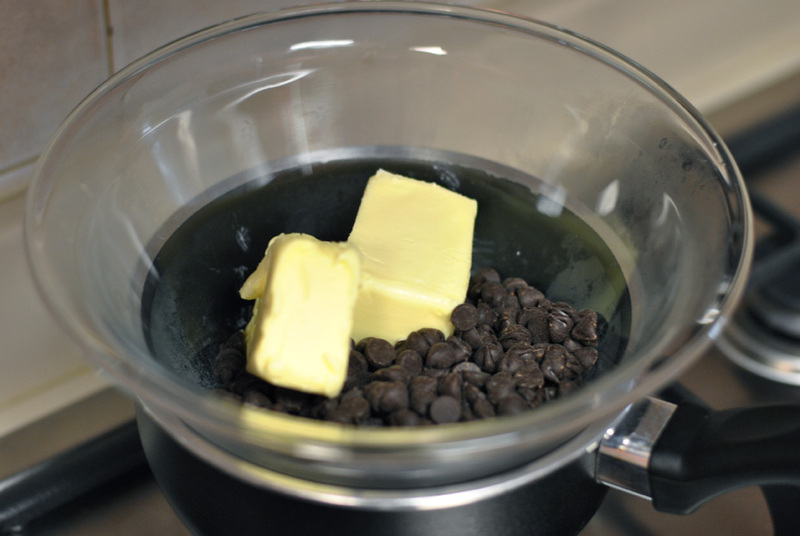 Start with melting the butter and dark chocolate chips in a heatproof bowl over a saucepan with simmering water. Add sugar, eggs, and water and mix until homogeneous. 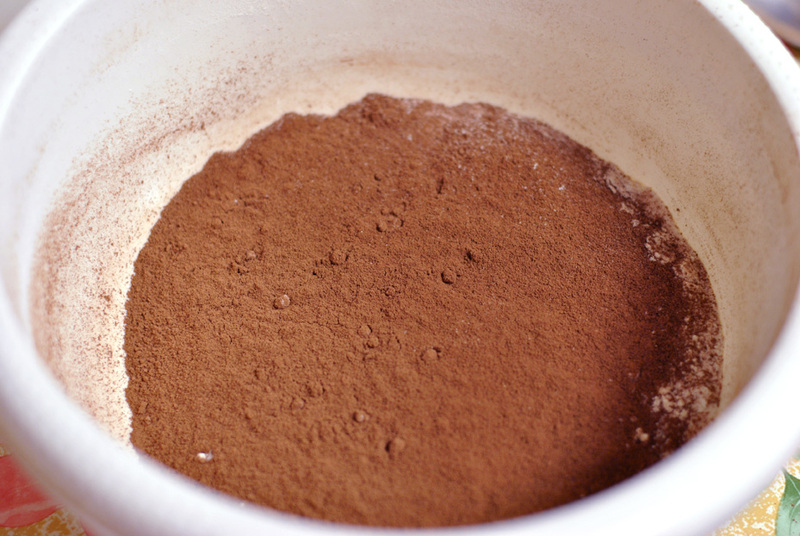 Sift the cocoa powder and the flour in a bowl, and pour in the chocolate mixture. 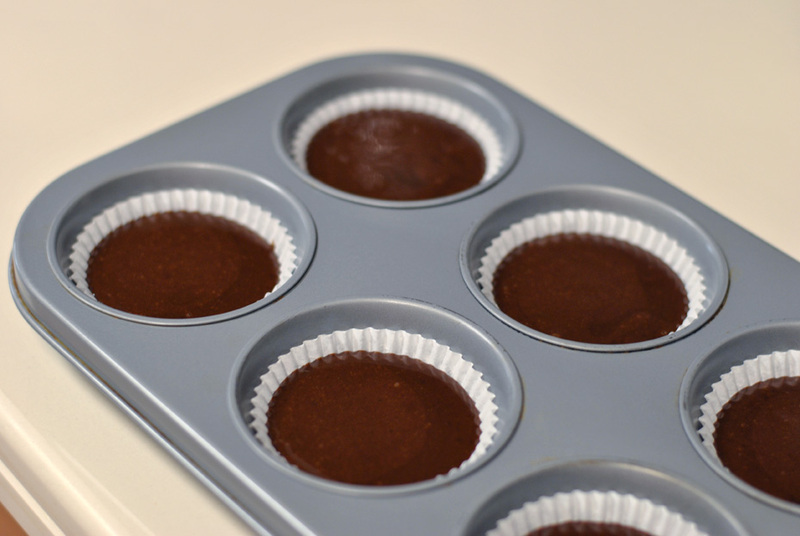 Divide the mixture evenly among cupcake liners, about 3/4 full. Bake until a skewer comes out clean when inserted into the center of a cake. 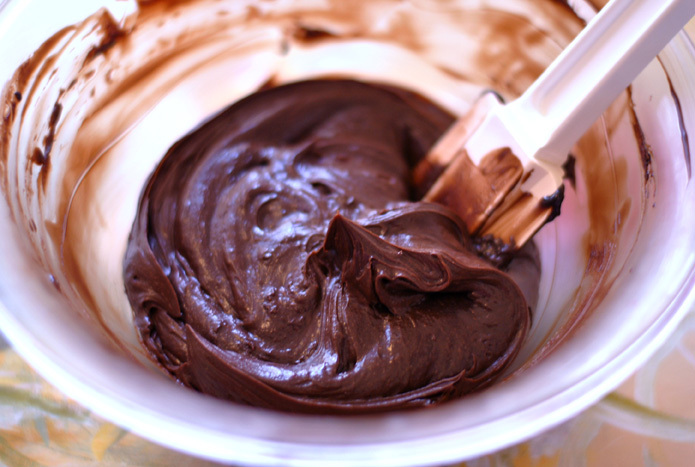 Make the chocolate ganache and refrigerate for an hour or until it reaches a “spoonable” consistency. Whip it with a whisk or a stand mixer. Note: Make sure the ganache is chilled well before whipping. And finally pipe ganache onto cupcakes! Preparation time: An hour and a half (with ganache frosting). Baking Time: 20-25 minutes. Optional: 1½ tablespoons Cointreau (orange-flavored liqueur) – Or Rum, Brandy, Vanilla extract. 2. Line standard muffin holes with paper cases. 3. Place the butter and chocolate chips in a small heatproof bowl. Sit the bowl over a saucepan of simmering water, making sure the bowl doesn’t touch the water. 4. 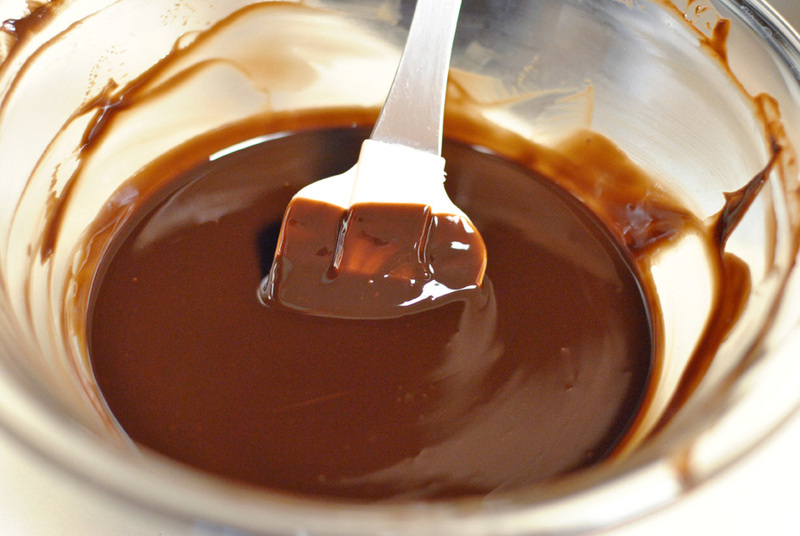 Stir the chocolate constantly until it is melted. 5. Add sugar, eggs, and water to the melted chocolate mixture. Mix well. 5. Sift the flour and cocoa into a large bowl. 7. Pour in chocolate mixture and stir until well combined. 8. Divide the mixture evenly among the case (3/4 full). 9. Bake for 20-25 minutes or until a skewer comes out clean when inserted into the center of a cake. 10. Cool for 5 minutes, then transfer onto a wire rack to cool. 1. Finely chop the chocolate. Place in a large mixing bowl. 2. Heat the heavy cream in a saucepan until it comes to a boil. 3. Pour the hot cream over the chocolate and let it sit for 30 seconds. Then slowly whisk until smooth and shiny. 4. Add Cointreau (or optional flavoring) and mix until fully incorporated. 5. Cover the mixing bowl with plastic wrap and refrigerate for 1 hour– or until the mixture is at a “spoonable” consistency. 6. 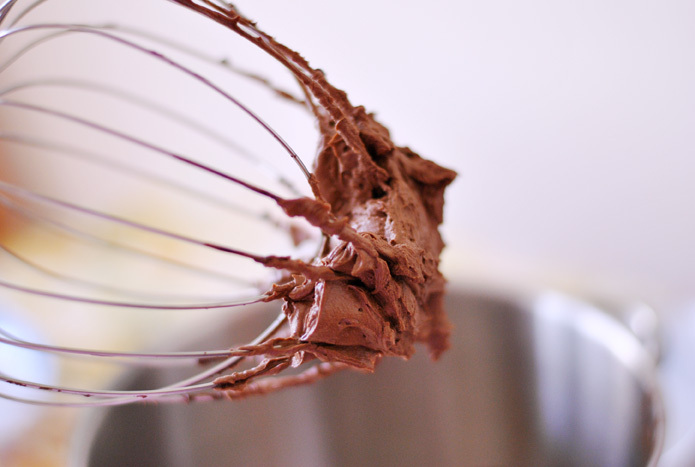 Whip mixture with a whisk or the beater attachment of your mixer for 1-2 minutes on medium speed until stiff peaks form. 8. 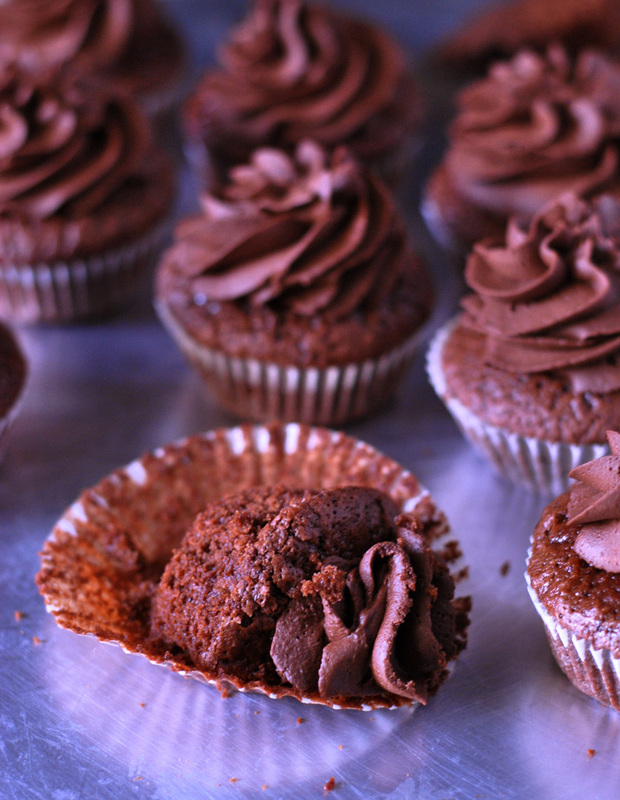 Pipe chocolate ganache onto cupcakes. 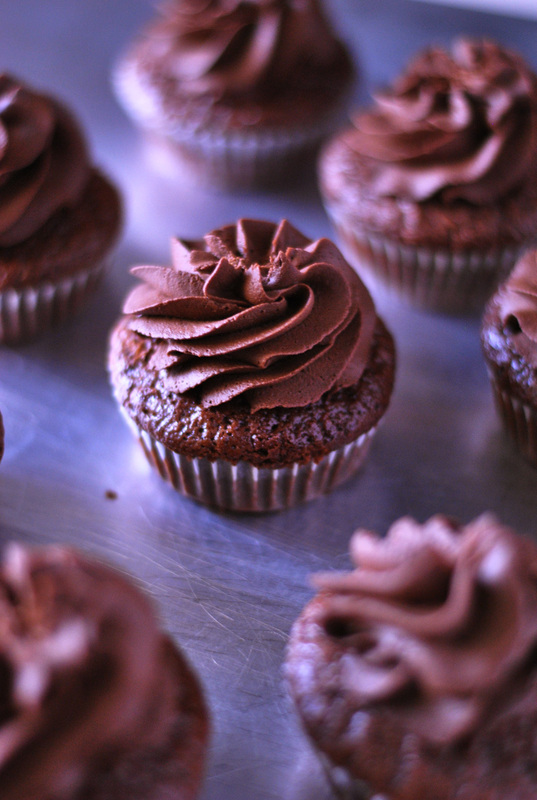 Cointreau and chocolate cupcakes sound amazing! 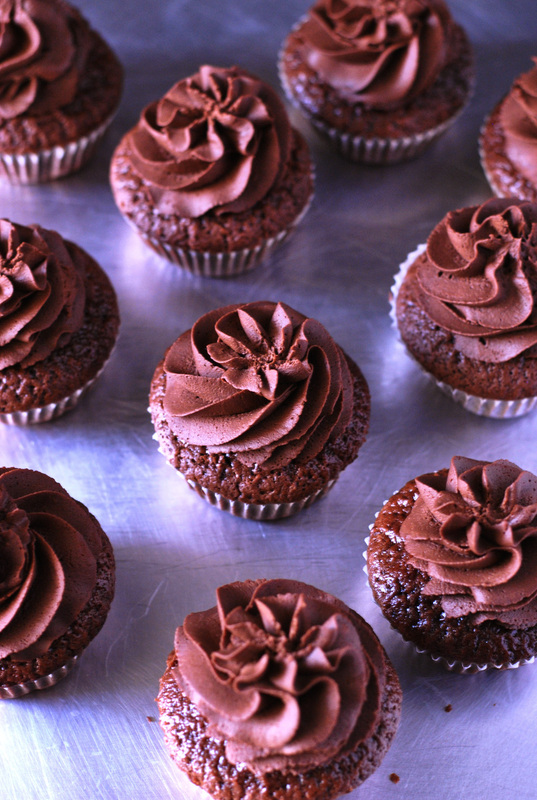 These look so delicious, I really love the look of your frosting! I to love the way they are frosted. Are you able to please put a tutorial up on how you do it? I always like to practice piping the frosting on a piece of parchment paper before frosting the actual cupcakes. I hope this helps! My brother told me that I might like this post, he was entirely right! Thanks!